Start roll the marbles through the maze using the smallest plastic cup then start using the bigger plastic cup, that making more difficult to avoid the holes. The quickest finish the trail maze is the winner. 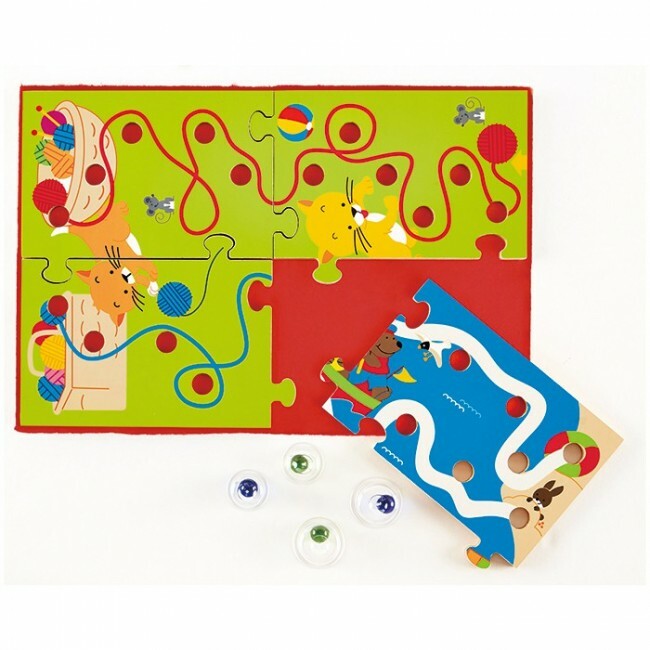 This four wooden jigsaw puzzle pieces that fit together creates double-sided game-board makes fun ways to play. Roll the marbles using the plastic cup to guide the marbles through the maze while avoiding the holes. 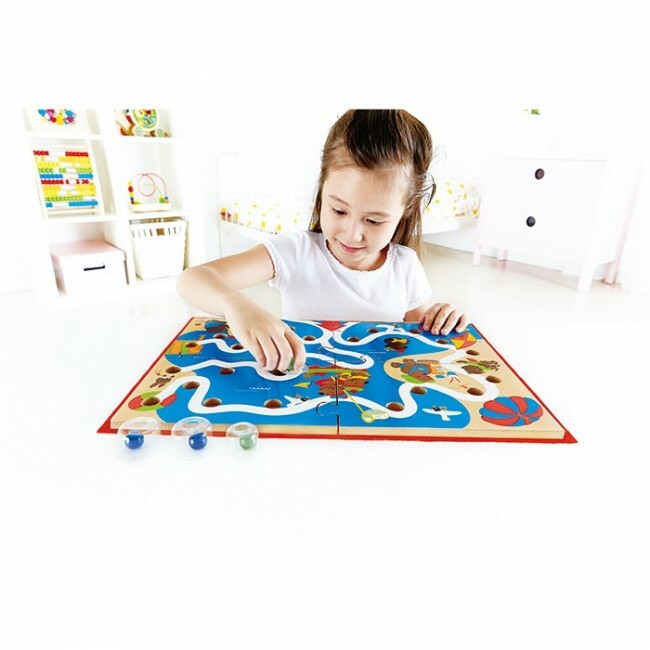 - Measures 14 H x 23 W x 1 cm D.
- Includes 4 game-board pieces printed on both sides, 4 transparent cups (2 large, 2 small), 4 marbles in 2 colors, red felt playing mat. 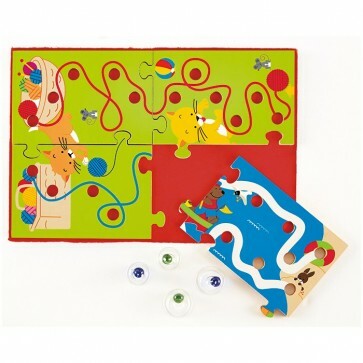 - Encourages fine motor skills, hand-eye coordination, logical thinking, concentration and persistence. - Recommended for 3 years+.